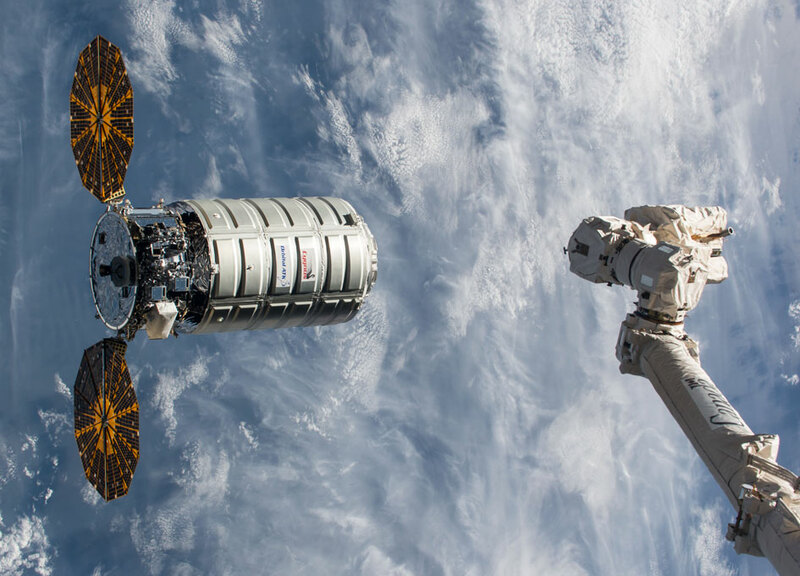 Orbital ATK's Cygnus spacecraft is scheduled to launch its ninth contracted cargo resupply mission to the space station no earlier than May 21. Science and research delivered by the spacecraft includes a test of centuries-old sextant navigation and forward-thinking work advancing the orbiting lab's ability to support cutting-edge molecular research and its commercial capabilities. For centuries, sailors navigated with sextants, which have an optical sight to take precise angle measurements from land or sea. NASA's Gemini missions conducted the first sextant sightings from a spacecraft, and designers built a sextant into Apollo vehicles as a lost-communications navigation backup. Jim Lovell demonstrated on Apollo 8 that sextant navigation could return a space vehicle home. "No need to reinvent the wheel when it comes to celestial navigation," says principal investigator Greg Holt. "We want a robust, mechanical back-up with as few parts and as little need for power as possible to get you back home safely." Genes in Space 3 performed in-flight identification of bacteria on the station for the first time. BEST takes that one step farther, says principal investigator Sarah Wallace, identifying unknown microbial organisms using a process that sequences directly from a sample with minimal preparation, rather than with the traditional technique that requires growing a culture from the sample. "That way, we can identify microbes that cannot be detected using traditional culturing methods, and we aren't increasing the number of potential pathogens that might be present on the station," Wallace explains. "With small modifications to our process, you can pretty much do any type of sequencing on the station," says Wallace. "Until now, we had to bring samples back to the ground to see these changes. We know gene expression changes, but freezing a sample and bringing it back to the ground could result in alterations that not caused by the spaceflight environment. If we could look at it while on the station, it might look very different. There is so much to be gained from that real-time snapshot of gene expression. I think it will be key to a lot of research." The investigation's sequencing components provide important information on the station's microbial occupants, including which organisms are present and how they respond to the spaceflight environment -- insight that could help protect humans during future space exploration. Knowledge gained from BEST could also provide new ways to monitor the presence of microbes in remote locations on Earth. Moving on to science at a scale even smaller than a microbe, the new Cold Atom Lab (CAL) facility could help answer some big questions in modern physics. CAL creates a temperature ten billion times colder than the vacuum of space, then uses lasers and magnetic forces to slow down atoms until they are almost motionless. CAL makes it possible to observe these ultra-cold atoms for much longer in the microgravity environment on the space station than would be possible on the ground. Results of this research could potentially lead to a number of improved technologies, including sensors, quantum computers and atomic clocks used in spacecraft navigation. The International Commercial Experiment, or ICE Cubes Service, tests and commissions the first European commercial system to increase access to this unique lab. A partnership between the European Space Agency (ESA) and Space Application Services (SpaceAps), ICE Cubes uses a sliding framework permanently installed in the Columbus module and "plug-and-play" Experiment Cubes. The Experiment Cubes are easy to install and remove, come in different sizes and can be built with commercial off-the-shelf components, significantly reducing the cost and time to develop experiments. "The idea is to provide fast, direct and affordable access to space for research, technology and education for any organization or customer," says Hilde Stenuit of SpaceAps, which designed and developed the facility and made it flight-ready.